#TVisCOOL: Man Opens Sentry Safe in less than 5 seconds. Open Sentry Safe in less than 5 seconds at the Kitsilano Business Leaders Meetup. 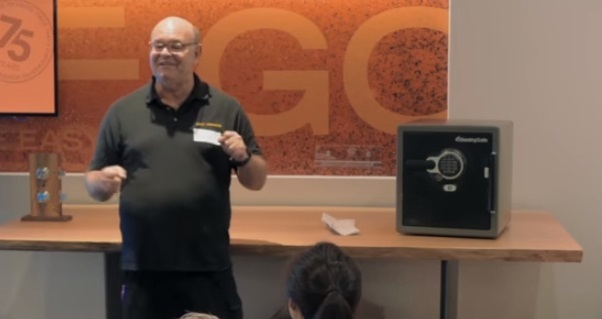 Terry Whin-Yates from Mr. Locksmith demonstrated how easy it is to open a Sentry Electronic Safe is less than 5 seconds with no damage or "Signs of Entry" for the Kitsilano Business Leaders Meetup.